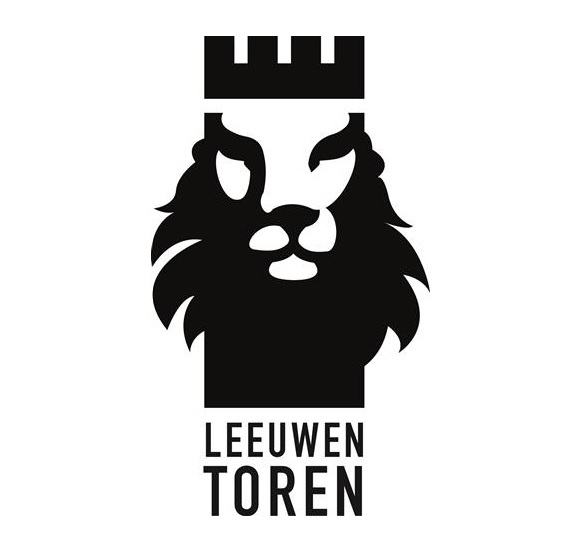 Leeuwentoren - Ontdek het perfecte spel voor buiten! 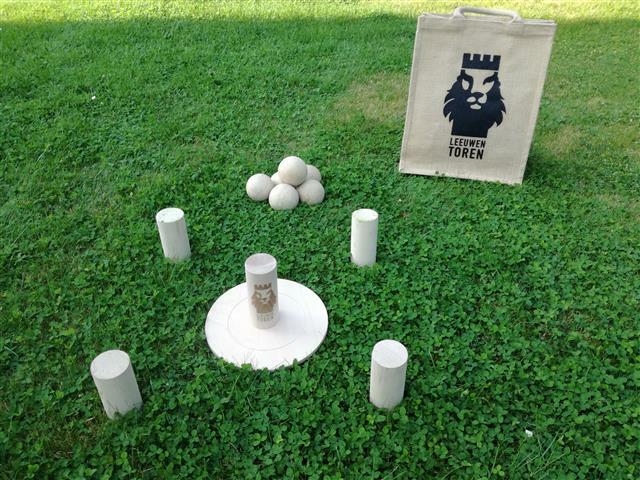 Discover the perfect outdoor game! 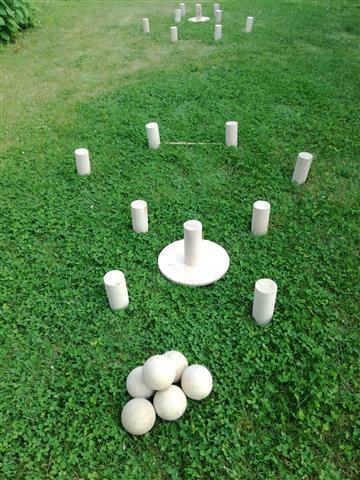 Hello everyone Last summer I devised a wooden offside 'Lion Tower' based on the Lion Tower of the Ypres fortresses. As a party game fanatic, the first intention was to make a board game around the medieval Ypres gates and / or vests. On a beautiful summer day my son Ties (4 years old) and I went out together to get to know the Ypres fortresses better. He with his balance bike and I on foot. We've read just about every info sign ... and at the Lion Tower the idea came to me spontaneously. What would be nice as a teacher sixth grade and early Ieperling in a fun way to tell more about the history of Ypres. Who can now tell how the Lion Tower comes to his name? What does that island with trees and bushes serve for that tower? What function did the Lion Tower have? 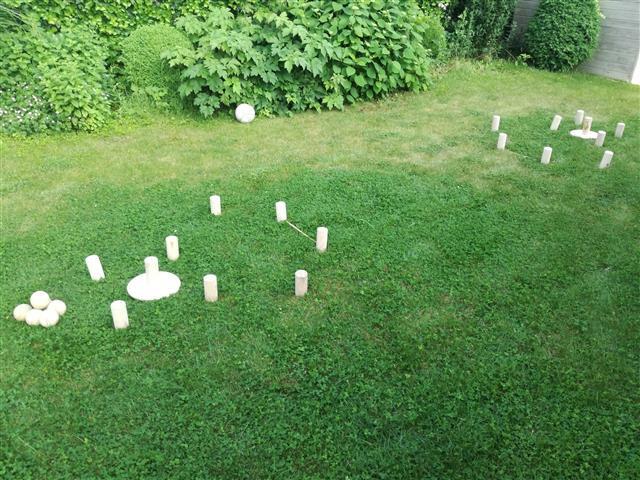 The first thing that came through my head was: "Why not mix between Kubb and petanque?" A game accessible to young and old. 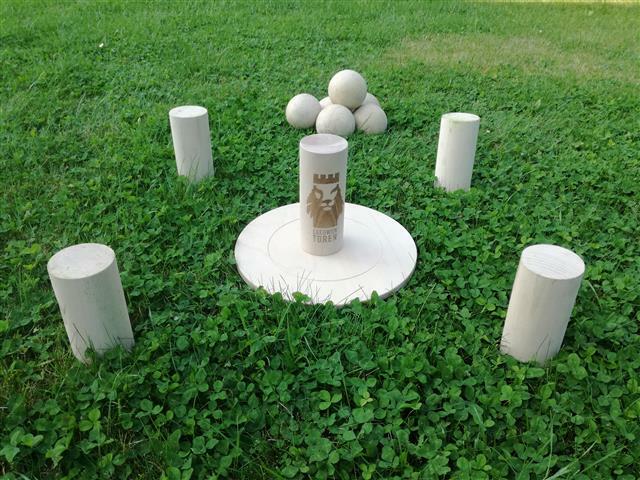 A game where the contemporary game element is involved, combined with the authentic charms of petanque to throw balls with wooden beech. What started as an idea, has already received a logo, is protected by brand name and is now in full production. In a time of computers, tablets, ... and other technological delights, I think it's important that my students learn TO PLAY TOGETHER, but also to enjoy EXTERNAL PLAYING.